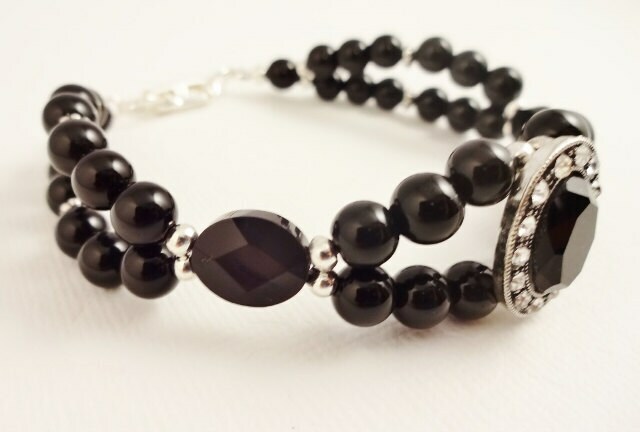 Very elegant bracelet with Black Onyx beads and silver accents. 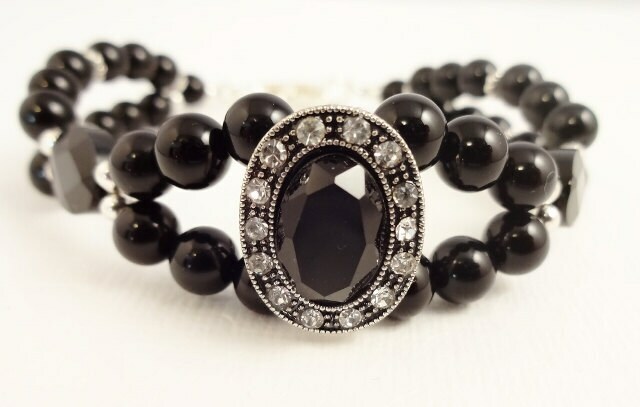 The Centerpiece is Black Glass surrounded by crystals. This bracelet fits a 7-inch wrist. You will want to wear it a little snug. I can add another jump ring or two to make it larger. If you need this, please add a note when checking out.